My Art, My Life Surfaces that shimmer with torn colored paper, Paint strokes or glass, Paintings, collages, shiny mosaics, New wholes made from bits. Rework myself, learn new ways of being, Break up assumptions, lose attitudes Find new strengths, new beauty, harmony. A constant healing garden of discovery. Sheryl has been a colorist since she first learned the color wheel. 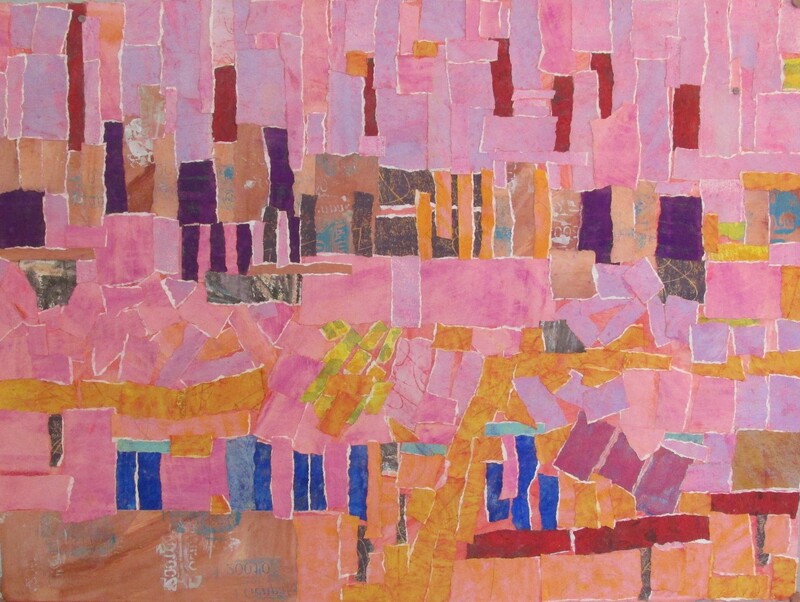 At LSU she studied with professors who had been students of Josef Albers, namely Harvey Harris and Paul Dufour, who reinforced her knowledge, understanding and use of color in her work. After attaining a BFA in painting, Milton Resnick, Nathan Oliveira and Leon Berkowicz were also teachers who influenced her work. Her year of living in Paris rekindled her connection to Pierre Bonnard whom she considers her greatest influence. She has also studied with Mary Vernon, Janine Nagy, and David Hornung at Mississippi Art Colony and Laurel True at True Mosaic Studio in New Orleans. Her current work is both tactile and reflective of color practice, creating harmonious titillating surfaces that evoke rivers and landscapes in rain or sunshine. She is represented by Ann Connelly Fine Art in Baton Rouge, LA. Easton, Maryland, is her home. At the Academy Art Museum in Easton, Maryland, she acts as instructor, exhibition assistant, picture framer, and gallery attendant. 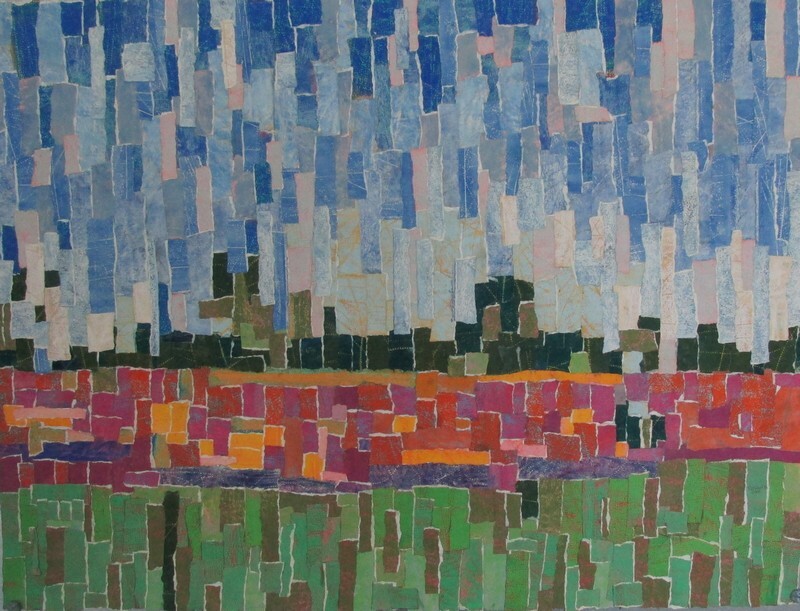 She has managed group murals and mosaics. As a teaching artist she loves to help people new to art-making in a variety of mediums.